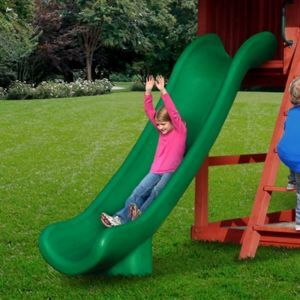 The Wiki Wave slide is one wild ride! 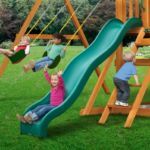 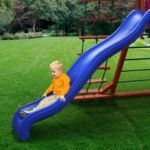 Made for decks that are 5′ high, it is a strong and sturdy slide with deep, smooth curves in its design. 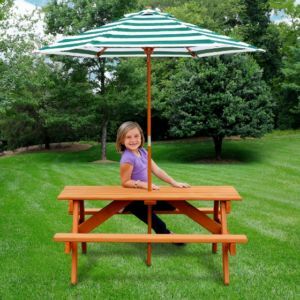 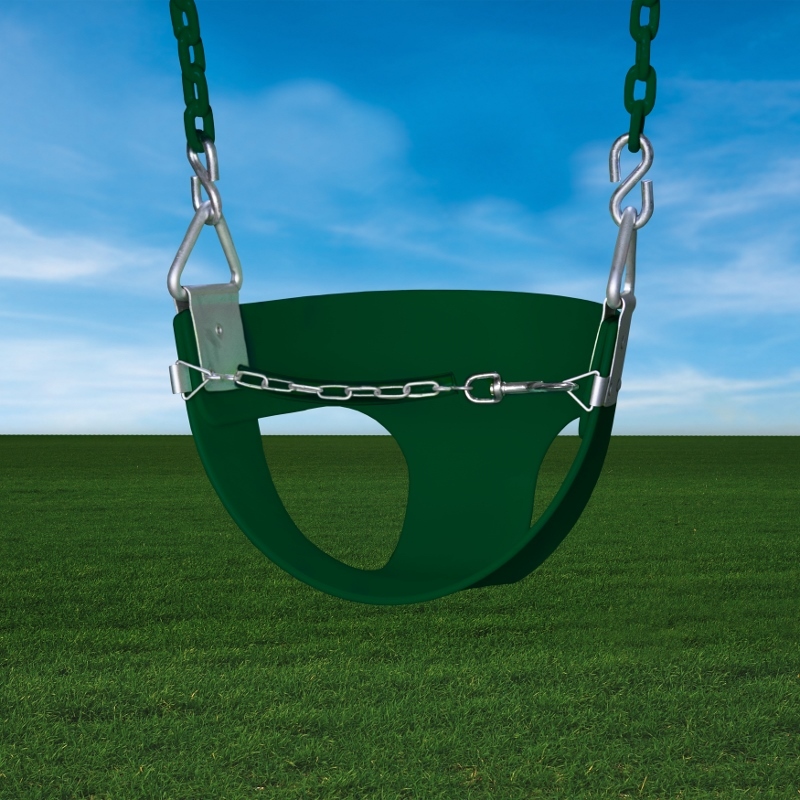 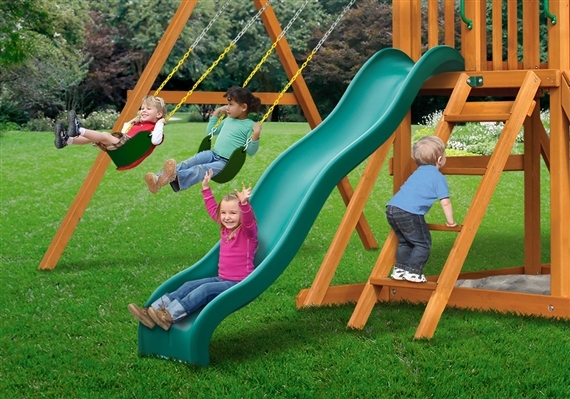 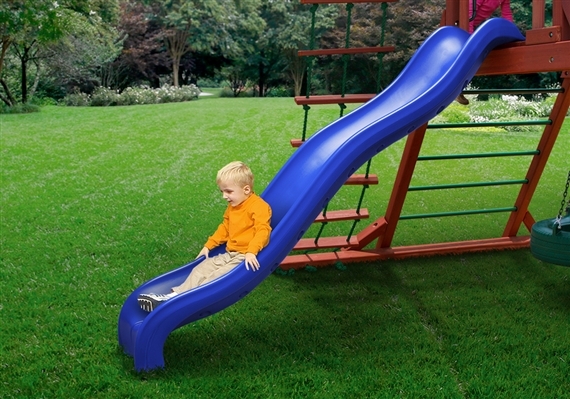 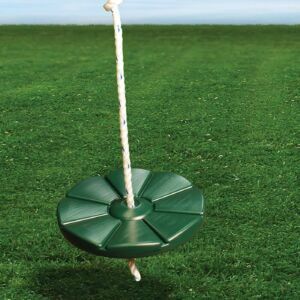 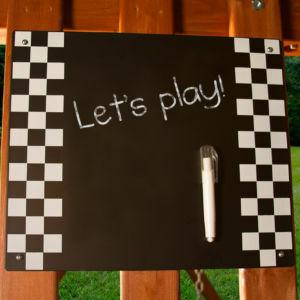 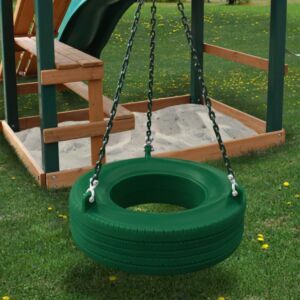 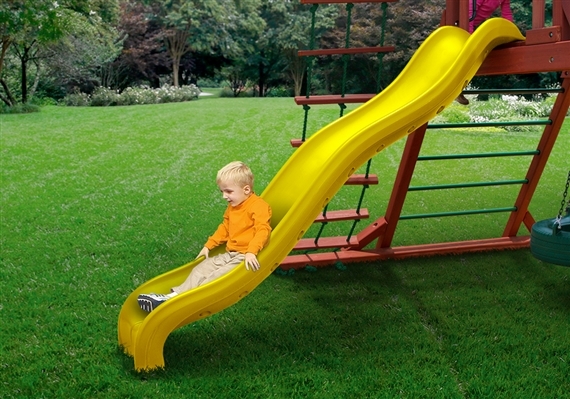 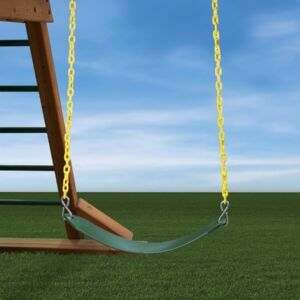 The sides are curved upward for safety, and the surface is smooth for swift, sliding fun! The Wiki Wave Slide features built-in UV protection for fade-resistance and to maintain a cooler surface. 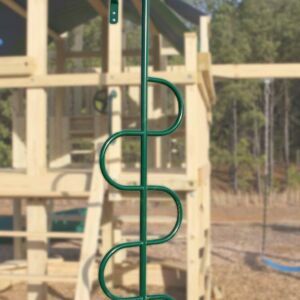 The underside of the structure features support chambers to add more strength and stability. 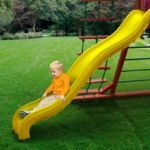 The Wiki Wave is an awesome ride!